Large and in charge, this popper is ready to meet the highest of demands. Pop-O-Gold 32-oz. 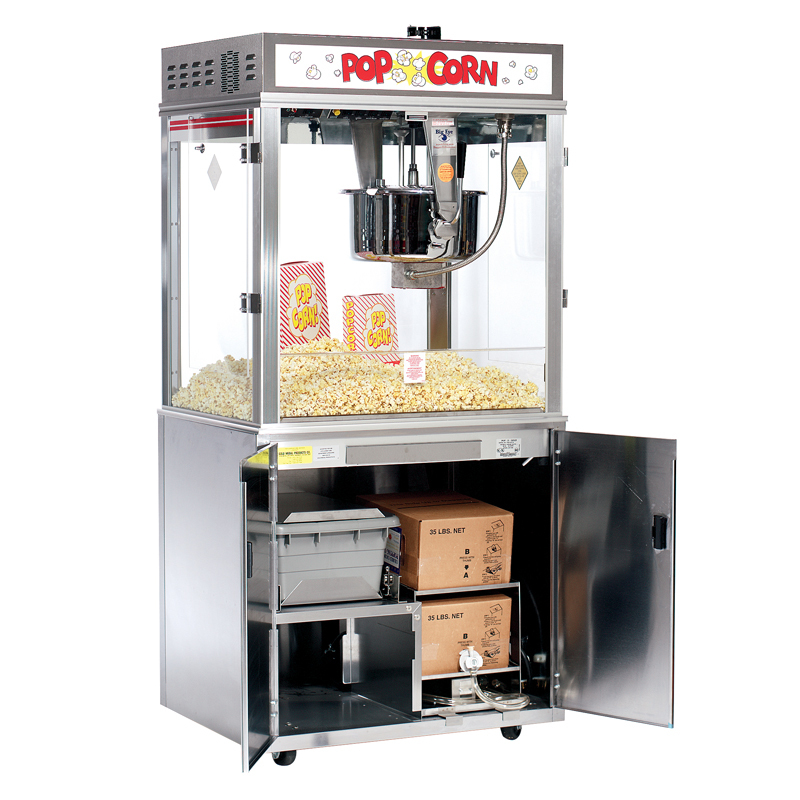 Floor Model with BIB Oil System #2011-071 is designed with the latest technological advancements, this poppers boast extensive features such as: updraft ventilation, fire suppression systems and filtration capabilities. Plus, with the deep well corn storage and salt-sweet switch and FlexiPop® options, you are able to tailor the batch size. When you need both quantity and quality, this Pop-O-Gold popper is up to the task. Try this machine at stadiums, cinemas and more!